I reviewed this on my Retro Reviews. 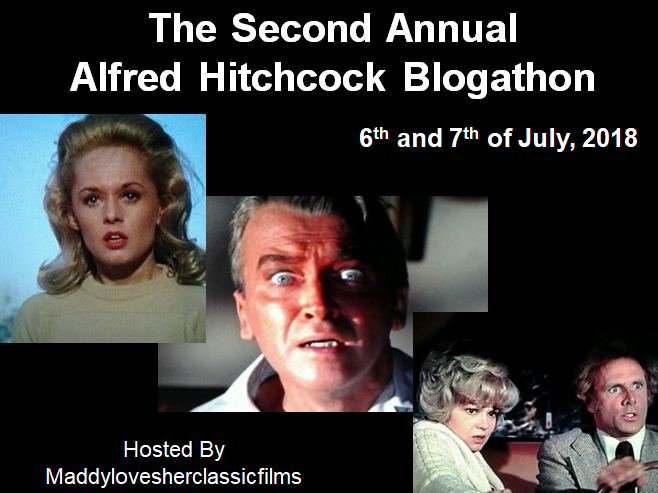 One of Hitchcock’s best! I remember your excellent review of it. This is certainly one of his finest movies and a personal favourite. Great review of one of Hitch’s best. 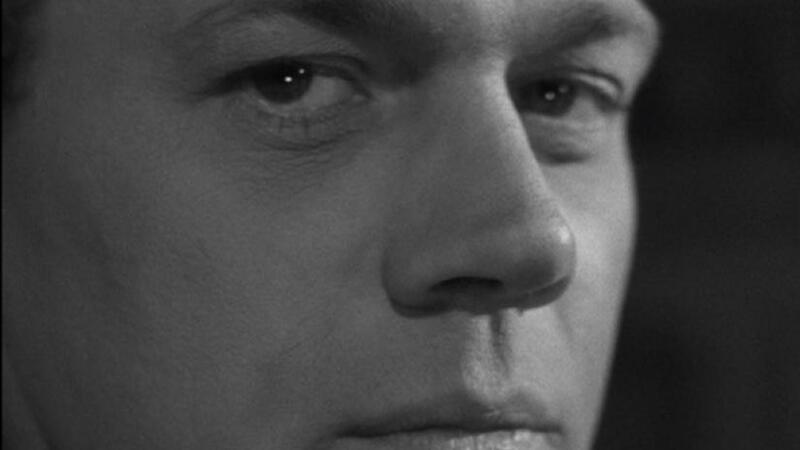 Joseph Cotten is phenomenal as Uncle Charlie. I love how Hitch does a David Lynch and shows us that beneath the seemingly perfect surface of small town life there is darkness and secrets lurking. Thanks for taking part V.
I reckon Lynch may have taken some references from this movie. It’s fascinating to see the darkness beneath alleged perfection. Oh you must check out more of Hitch. He’s a fantastic and influential director whose style is widely imitated. Wonderful review. 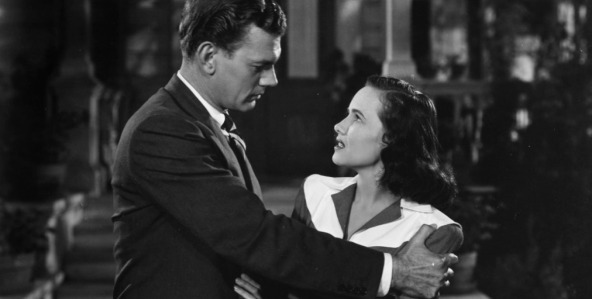 I particularly like this analysis of yours: “Doubt tears apart the picture perfect image of society with irony and dark humour.” I am less familiar with this film, so I have to refresh my memory and see it. I was particularly proud of that sentence. Yes, he had the style and skill. The Birds is very frightening. I agree that this is one of Hitchcock’s creepiest films. As usual, he plays on our darkest fears, and the idea that a relative could be a killer is obviously a terrifying one. I would never have imagined Cotten in this role, which is exactly why it works. You really doubt–he’s always playing such a nice everyman. And Wright plays her usual upstanding character to great effect here. Thanks for reminding me why I need to watch it again! Yes, Cotten was usually the good guy so it causes an interesting dichotomy watching him play someone so evil. And Wright’s innocence is a great polar opposite to it, despite the fact both characters have the same name. Excellent review, Vinnieh. One of Hitch’s best films. It’s more small scale but mightily effective. And he directed so many more classics. 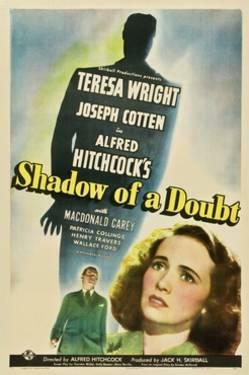 I’m not sure if I’ve seen this one as I plan on doing some more Hitchcock films in October. Oh I look forward to that. I love this film so much. The cast is simply phenomenal with my personal favourites being Macdonald Carey and Henry Travers. I usually enjoy Cotten playing the nice guy but he is devilishly good in this role. Oh the cast is amazing, right down to the smallest part. Thank you for commenting. The term “classic” certainly applies to this movie. Its themes and performances are for the ages. Fabulous review Vinnie! You’ve so convinced me to check this one out!! I have done my job then. If you ever did a greatest hits id include this piece. Among your best. Great stuff. Love this film too. The world’s a hell. What does it matter what happens in it? What a great line that says it all. That’s such a nice comment, Alex. I genuinely appreciated you saying that. Absolutely LOVE this movie. One of my favorite Hitchcock pictures. And Cotten is such an underrated actor. I’ve always found him to be exceptional. Cotten really plays against type magnificently here. Combining both the charm of the good guy and the seediness of a bad man. Great review! I love this movie, it’s definitely one of my favorite Hitchcock flicks. You’re right, it’s so damn unnerving. The suspense is the thing here.